Rediff.com » News » Has the Congress old guard's revolt truly started? 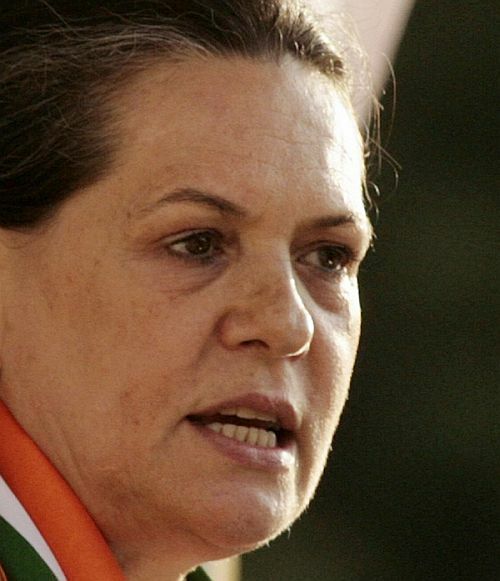 Has the Congress old guard's revolt truly started? 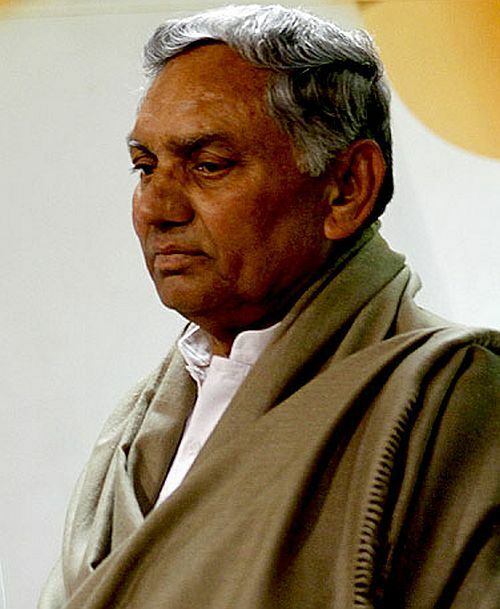 Is the Janardan Dwivedi controversy a sign of growing resentment among the Congress party’s old guard over its possible marginalisation in the new set-up? When the All India Congress Committee general secretary surprised everybody by giving a rare interview to news agencies in which he made a case for doing away with reservations for Scheduled Castes, Scheduled Tribes and Other Backward Classes, it was believed that he might be testing the political waters ahead of the Lok Sabha elections on behalf of the party leadership, as he is known to be close to both Sonia and Congress vice-president Rahul Gandhi. However, the Congress president’s two-page statement reaffirming the party’s commitment to caste-based reservations on Wednesday night is a clear indication that Dwivedi was acting on his own. It is learnt that Dwivedi tried to get in touch with Rahul on Wednesday to clear the air but his repeated calls went unanswered. The message was loud and clear: the leadership had not taken kindly to Dwivedi’s statement which was seen as an attempt to embarrass the leadership. More importantly, this episode points to the ongoing tussle between the party’s old guard, which is clearly feeling insecure, and Rahul Gandhi’s new team which is gradually growing in influence. 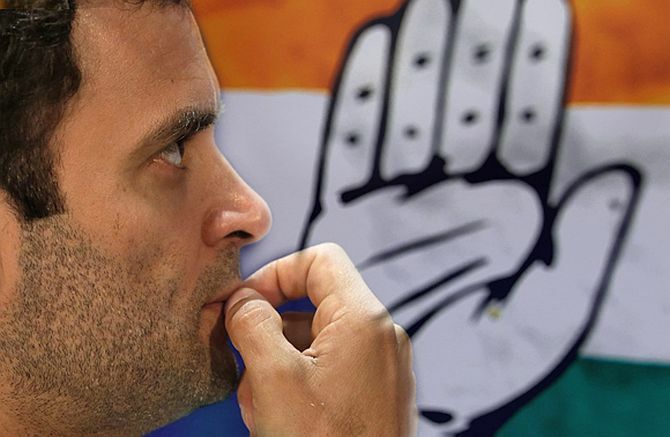 “There is obviously something serious going on in the party,” a senior Congress leader told rediff.com, adding that this churning is directly related to the generational change being witnessed in the party. Congress insiders told rediff.com that Sonia was furious with Dwivedi for stirring up an unnecessary controversy so close to the upcoming general election. She is said to have instructed minister of state for Parliamentary affairs Rajeev Shukla to clarify the party’s position when this issue was raised in the Rajya Sabha on Wednesday. Dwivedi’s remarks had predictably created a storm in the Congress as well as other political parties and would have snowballed into a major controversy had Sonia had not stepped in with her clarification. Given his seniority in the organisation and the fact that he does not usually give interviews, Dwivedi’s comments could not be ignored or brushed aside by the party as an aberration. The AICC general secretary is known to choose his words very carefully and is not known to air his personal views in public. Dwivedi must have realised that his statement would be met with loud protests from within the party and that the Congress would come under severe attack from the ruling alliance’s outside supporters like the Samajwadi Party and the Bahujan Samaj Party. In fact, the anger in the Congress was evident on Tuesday itself when details of Dwivedi’s interview went viral. While the controversy on the party’s policy on reservations has been laid to rest, Dwivedi’s statement has fuelled further speculation about his position in the party hierarchy. Known to be close to Sonia (he has been writing her Hindi speeches), the senior leader was said to have established a good rapport with Rahul although the latter had removed him as the party’s communication department chief and replaced him with a younger Ajay Maken. 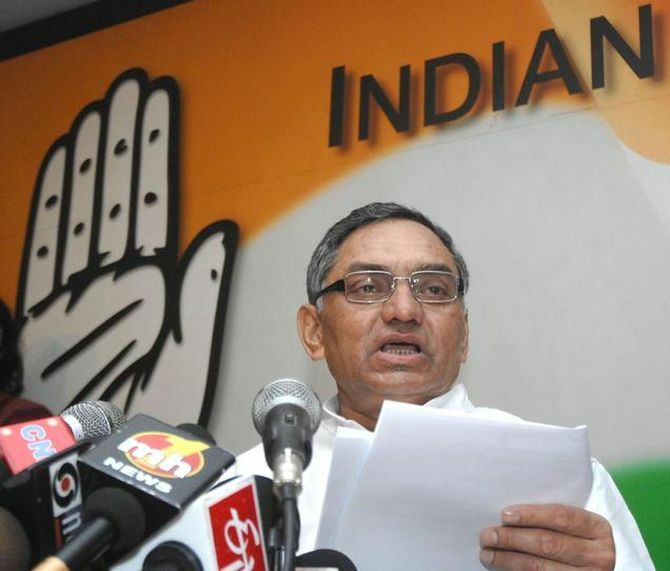 However, Dwivedi had stood his ground and was often called upon to speak to the media on behalf of the Congress on key issues like the involvement of Priyanka Gandhi in the party’s election campaign. It now appears that the generational shift being witnessed in the Congress after Rahul assumed greater responsibilities has disturbed the status quo. There have been murmurs among the senior leaders who have been largely sceptical about the party vice-president’s style of functioning. If Dwivedi’s recent interviews are any indication, these voices of dissent could get louder in the coming days.